Happy Wednesday friends! I really hope you are enjoying all the high-quality freebies The Hungry Jpeg, their sister site CraftBundles.com and FPTFY are bringing you on a weekly basis! We enjoy making your day and knowing our free digital goods brighten your day, in return brightens ours!! If you love creating handmade gifts for your family/friends or make a living off of them Craft Bundles will be your new craft lifeline! I would encourage you to get to know them and visit their site often, not to mention download all their freebies! 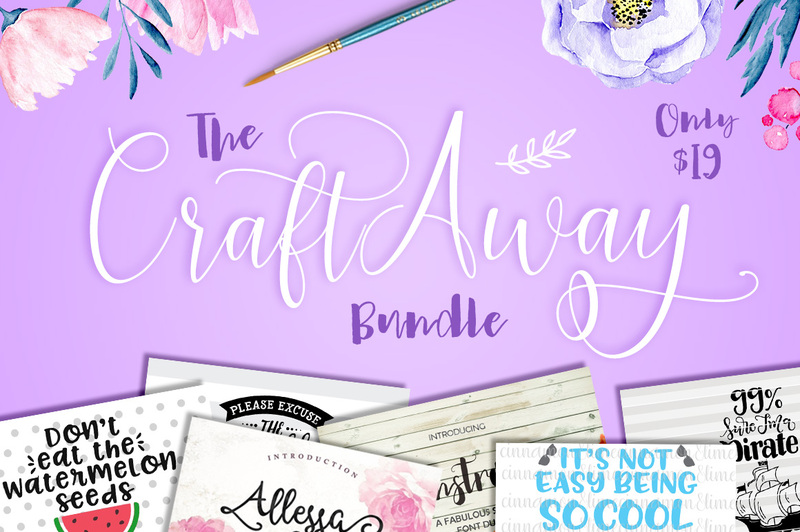 Every month craftbndles.com has .. you guessed it.. a bundle jammed packed with hundreds of Cutting files! And most importantly, all their files and fonts come with a complete commercial license included! That means you could sell and re-sell products you created with their bundles AND you could also create cutting files to sell and giveaway!! • Download their latest free cutting files here! Wow! Thank you this is wonderful!